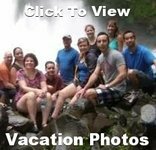 When it comes to visiting the country of your dreams, no place holds the promise of adventure and fantasy like the Egyptian ancient civilization that has held the world's fascination for thousands of years. The Nile was the lifeline of ancient Egyptian civilization and today the banks of the river are dotted with ancient tombs and temples. On this singles vacation we will explore this ponderous ancient civilization. 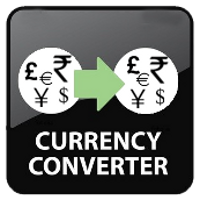 Arrive at Cairo Airport where you will be met by the group's assistant & transferred to our hotel in Cairo. 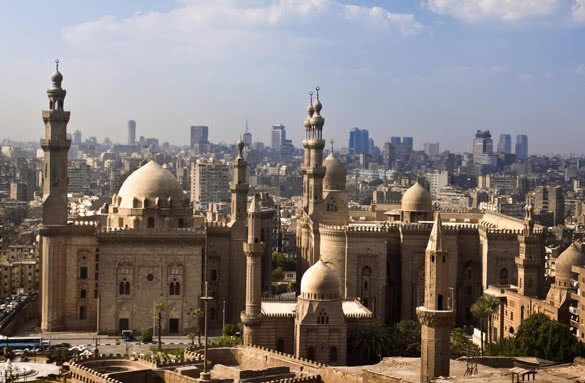 If you arrive early in the day relax at our hotel or pre-arrange an afternoon in Cairo, Egypt’s sprawling capital. 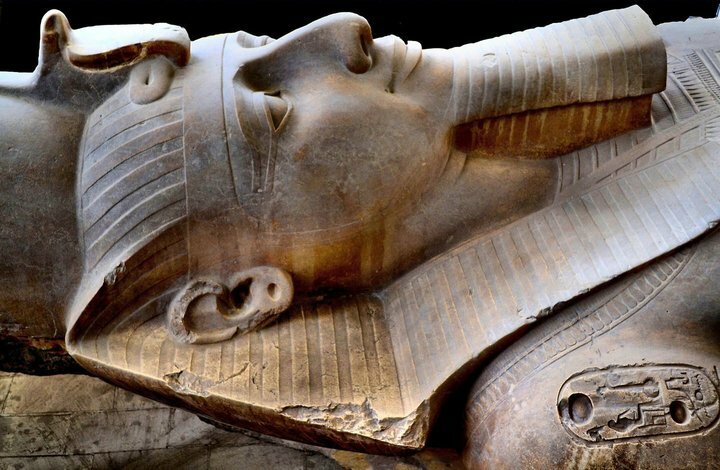 At its heart of Cairo is Tahrir Square and the vast Egyptian Museum, a trove of antiquities including royal mummies and gilded King Tutankhamun artifacts. Tonight meet and greet with your tour leader at our hotel and have dinner (not included). After breakfast, get ready for a full day of amazing highlights. First we drive to Memphis, the past capital city along the Nile’s west bank in the third millennium BC. It is now an open-air museum containing ruins, a sphinx, granite statues and monuments. View the Colossus of Ramses II, an enormous 33 foot reclining statue carved in limestone and the giant Alabaster Sphinx. Then we continue to Sakkara, a vast, ancient burial ground, serving as the necropolis for the Ancient Egyptian capital, Memphis. The Pyramid of Djoser, or step pyramid is located here. Built during the 27th century BC, it's the oldest stone pyramid in Egypt. 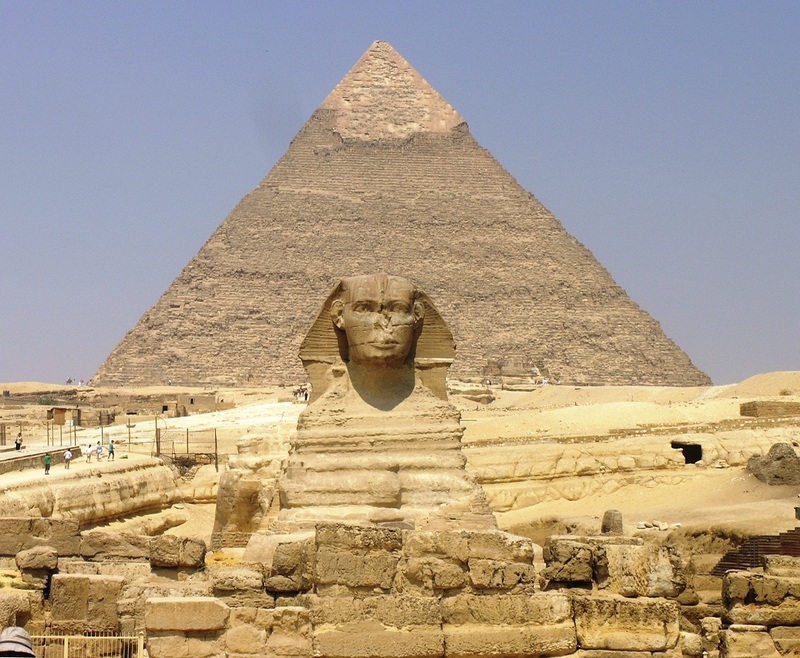 From here prepare yourself for a breathtaking experience as we marvel at the oldest of the seven wonders of the ancient world, the Great Pyramids of Giza, and the Sphinx, which casts its enigmatic gaze across the sands of the desert. Built during a time when Egypt was one of the richest and most powerful civilizations in the world, the pyramids—especially the Great Pyramids of Giza—are some of the most magnificent man-made structures in history. After breakfast, we fly to Luxor, on the east bank of the Nile River and located on the site of ancient Thebes, the pharaohs’ capital at the height of power. 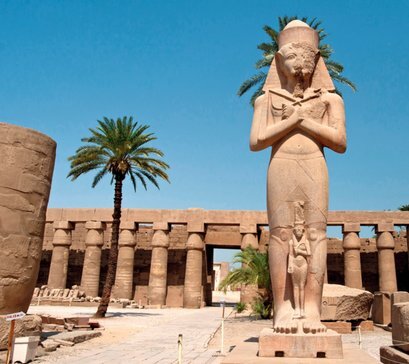 Today's Lux surrounds 2 huge, surviving ancient monuments: Luxor Temple and Karnak Temple, a mile north. The royal tombs of the Valley of the Kings and the Valley of the Queens are on the river’s west bank. The approach path to The Temple of Dendera, one of the best-preserved temple complexes in Egypt, is between two Roman fountains that end at the massive entry gate. The enclosure walls are mud-brick and date to the Roman era. Within the walls are the temple, two birth houses, a Coptic Basilica, a sanitarium, a sacred lake, and a temple to Isis. Learn about the temple's long history on our day tour. 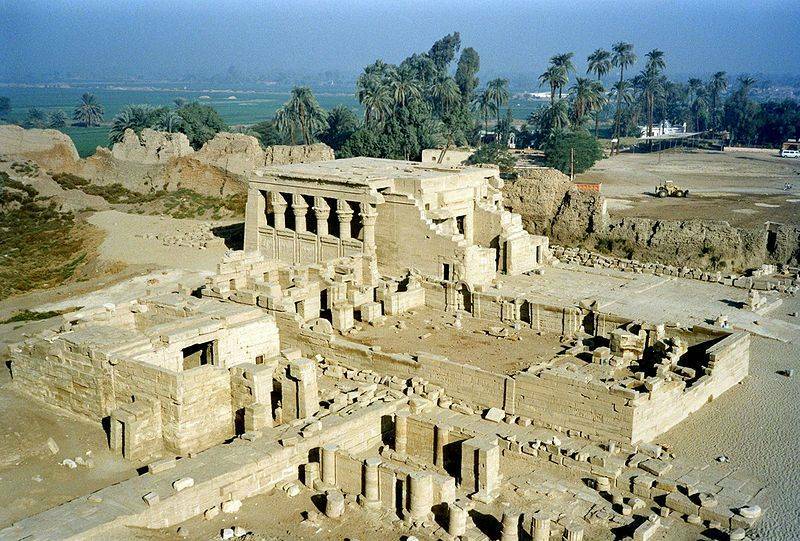 There is evidence that Pepi I (Old Kingdom) rebuilt the temple while other texts refer to reconditioning by Thutmose III, Amenhotep III and Ramesses II and III (of the New Kingdom). After we board our Five Star Nile Cruise ship, it is time to discover the East Bank of Luxor including Karnak & Luxor Temples. On entering the Temples of Karnak you will see each legacy left by the various pharaohs as the complex grew. The deeper we go, the further back in time we will travel, with the oldest ruins dating back over 3,000 years. The Luxor Temple was once joined to the Temples of Karnak by a mile long Avenue of Sphinx, a portion of which marks the entrance to the temple. Dominated by statues of the great warrior pharaoh Ramses II, Luxor Temple has survived Nile floods, foreign invasion and thousands of years exposed to the elements. Tonight we have dinner and enjoy our first night onboard our Nile cruise. 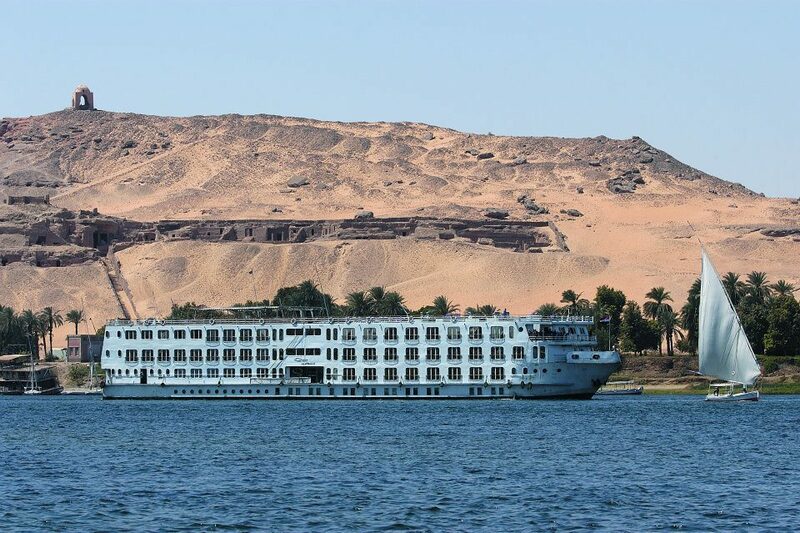 After breakfast onboard ship, we cross over to the west bank of Luxor and discover the largest open museum in the world. 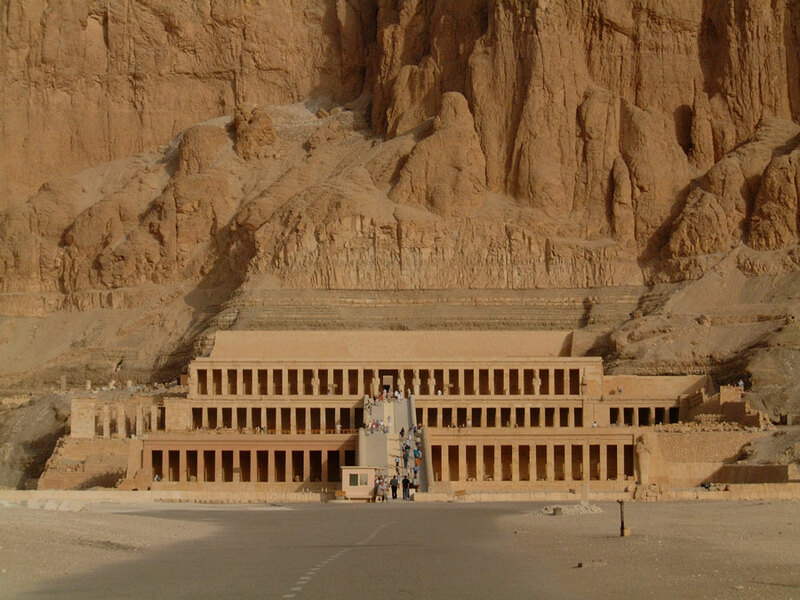 We will visit the Necropolis of Thebes, Valley of the Kings, which was used as royal tombs for the New Kingdom. For over a thousand years, the kings, queens and nobles of the New Kingdom were buried in this valley, which is the world's most magnificent burial ground. These beautifully painted tombs have been designated a World Heritage Site by UNESCO. We will also visitat the famous temple at El Deir El Bahary, a complex of mortuary temples and tombs dedicated to the only Pharaonic female ruler, the Queen Hatshepsut. 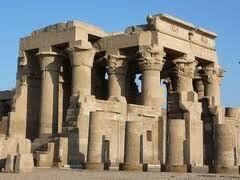 It was built of limestone, not sandstone like most of the other funerary temples. 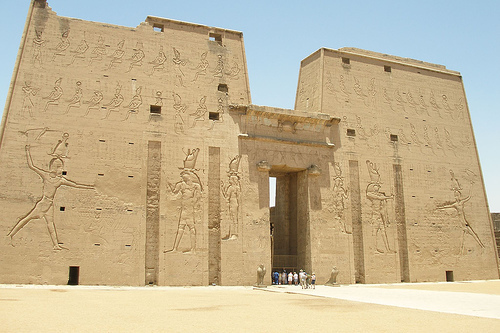 Then we will explore Edfu, a flourishing city in Ancient Times. Today the most important monument in the city is the Temple of Horus, considered to be one of the most beautiful and preserved temples in Egypt. The ancient Egyptian place of worship features a unique engraving that is thought to be among the first representations of medical and surgical instruments. The construction of this Temple and its additions, inscriptions, and relief's took about 180 years! After breakfast we depart for our excursion to the High Dam of Aswan, built in the 1960s and the Unfinished Obelisk, the largest known ancient obelisk. The obelisk's creators began to carve it directly out of bedrock, but cracks appeared in the granite and the project was abandoned. 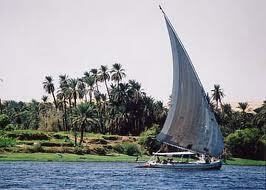 Sailing on a Felucca down the Nile is something you must do when visiting Egypt. Feluccas are sail boats that have been used on the Nile since antiquity and our group will enjoy a Felucca Ride past the Botanical Gardens and get an outer view of Agha Khan. 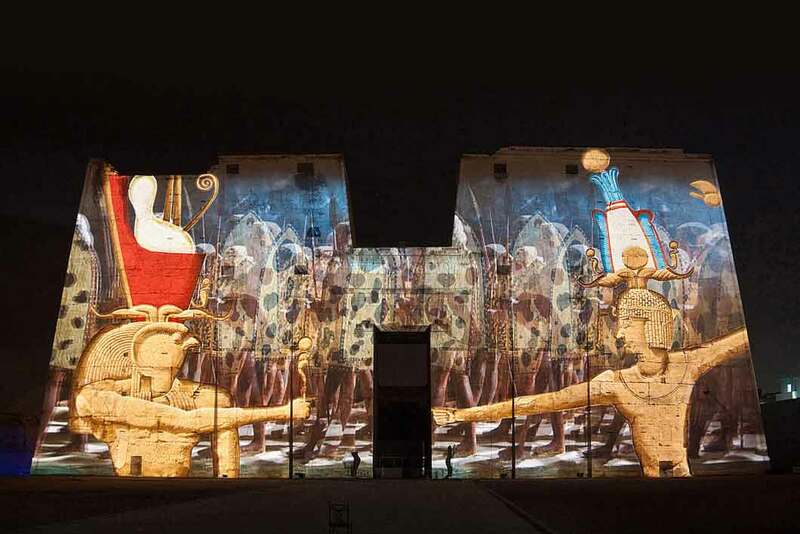 Discover the legends of Goddess Isis & God Osiris on a narrated journey at the Sound and Light Show at Philae Temple. At each Philae Sound and Light show, the Egyptian gods and goddesses are resurrected before our eyes to tell us their life stories. This show brings history and the past to life, making you feel the temple alive around you; the myth is resurrected. The presents the myth of Osiris, the goddess of death and his beloved wife Isis, who resurrected her husband using life rituals after being killed by his brother, Set, the God of Evil in ancient Egypt. This morning we disembark our cruise for the final time and drive to Abu Simbel to visit The Temples of Ramses II & his wife Nefertari. Abu Simbel was built by Ramesses II (Pharaoh of the 19th Dynasty of the Egyptian New Kingdom, who ruled 1279-1213 BC) in Nubia. Not only are the two temples among the most magnificent monuments in the world but their removal and reconstruction was an historic event in itself. 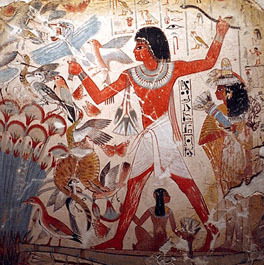 When the temples were threatened by submersion in Lake Nasser, due to the construction of the High Dam, the Egyptian Government secured the support of UNESCO. During the salvage operation the two temples were dismantled and raised about 200 feet up the sandstone cliff where they had been built more than 3,000 years before. Here they were reassembled, in the exact same relationship to each other and the sun, and covered with an artificial mountain. After our exploration, we board a plane back to Cairo and check back in to our hotel for the evening. Today we tour Cairo and visit the Egyptian Museum which contains the world's most extensive collection of pharaonic antiquities and no visit to Egypt is complete without a trip through its galleries.This famous museum houses the world’s largest collection of ancient Egyption artifacts (more than 120,000 items on display) featuring the famous Tutankhamun collection with its beautiful gold death mask and sarcophagus and the royal Mummy room. View the Saladin Citadel, a monument to medieval warfare, houses a number of museums, ancient mosques and the Alabaster Mosque of Mohamed Ali. 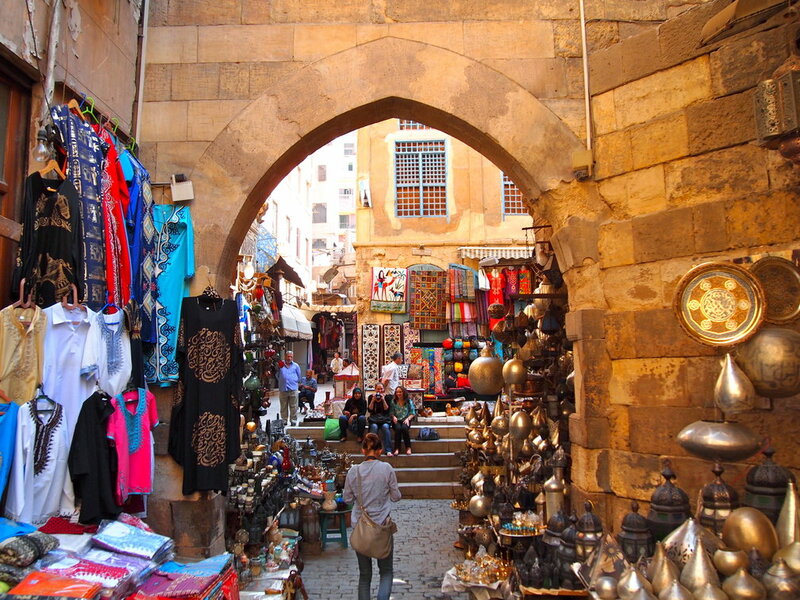 Get your last minute gifts and souvenirs at the Khan El Khalili Bazaar. The souk dates back to 1382 and is known for selling good-quality clothing, cloth, spices, souvenirs, and traditional jewelry and perfumes at reasonable prices. The bazaar is also loud, crowded, colorful, and exciting. There is a spice market, a perfume market and deeper into the market there are gold vendors and antiques shops full of interesting pieces. There are fabric shops and carpet vendors and sellers of just about anything you might desire. Enjoy our Farewell Dinner together in a wonderful local restaurant. Time to depart Cairo and say goodbye to Egypt and all our new single friends.Transfer to the airport according to your flight schedule.